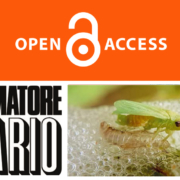 Begun in November 2015, POnTE Project serves as an excellent resource for English-language readers who want to keep up with new research on Xylella fastidiosa in Europe, along with several other pests that threaten strategic agricultural crops in Europe. 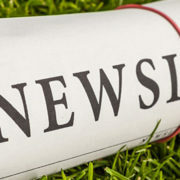 In additional to providing a general introduction to Xylella, POnTE Project sends out a highly useful weekly newsletter with abstracts that describe ongoing research findings. 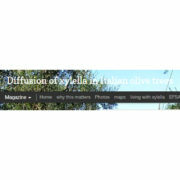 Evaluation of a sampling method for Xylella fastidiosa detection in olive trees: A survey of 60 symptomatic and symptomless olive trees of 11 different cultivars in 4 randomly selected olive groves in Lecce province shows that the Xylella bacteria concentrates more in the upper crown layer of trees (56.8%) than in the lower crown (38.1%). Survey for the presence of Xylella fastidiosa subsp. pauca strain CoDiRO in the native flora of the Salento peninsula: A survey of 200 Xylella native host plant species of 50 families was conducted to measure the presence of Philaenus spumarius, the principal insect vector of Xylella, in roadside weeds and shrubs in infected zones of the Salento. Results suggest that P. spumarius is much more present in shrubs than in weeds. 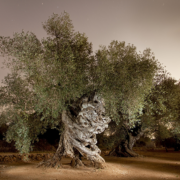 Establishment of an experimental field to explore the differential olive cultivar response to Xylella fastidiosa infection: Beginning in April 2015, an experimental field was established in a Xylella-infected zone of Lecce Province, with 24 trees each of 10 different olive cultivars. Infected P. spumarius were introduced to the trees. After 9-12 months, 50% of the trees tested positive for Xylella, with varying infection rates for each cultivar. With 25% infections, the Leccino cultivar showed the lowest infectivity; the highest infectivity–78%–was shown by the Koroneiki cultivar. Shoot dieback begins to appear approx 1 year after planting. Beginning in April 2016, the number of cultivars in the experiment was expanded to 30. 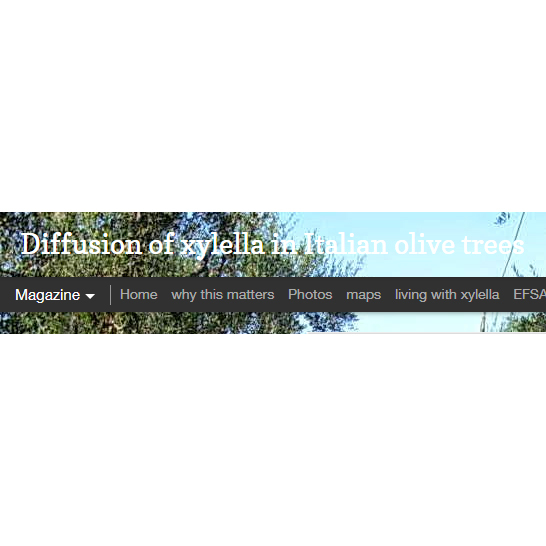 Exploiting pathogen confusion strategy to achieve Xylella fastidiosa biocontrol: This experiment seeks to obstruct Xf bacterial movement and multiplication by altering the level of “diffusible signaling factor” (DSF). 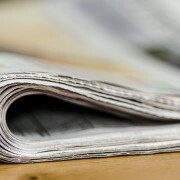 By altering this factor, the motility of the bacteria within plant xylem may be reduced, thus slowing the destructive effects of the presence of Xf. Transcriptome analysis of two olive cultivars in response to Xylella fastidiosa infection: Comparative genetic profiling of Leccino and Ogliarola olive cultivars suggests that Leccino has genetic characteristics which lead to a lower pathogen concentration, perhaps resulting in a higher level of intrinsic tolerance, with respect to the Ogliarola cultivar. Detection of Xylella fastidiosa: validation and implementation of routine testing methods : this study compares various protocols used to detect the presence of Xylella, showing that certain protocols are more precise, while some faster protocols are less exact, but may serve a purpose when rapid results are needed. 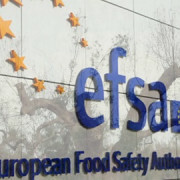 The EU research programs in response to the Xylella fastidiosa emergency: This abstract describes a new Horizon 2020 initiative (XF-ACTORS) to develop a multi-actor approach to facilitate interactions among research groups studying Xylella fastidiosa. Large Consortiums within and beyond Europe will be able to share data and experience to increase awareness and determine best practices. Rapid screening tests for differentiating Xylella fastidiosa isolates: This abstract describes new methods being developed that will allow for more rapid identification of Xf isolates.